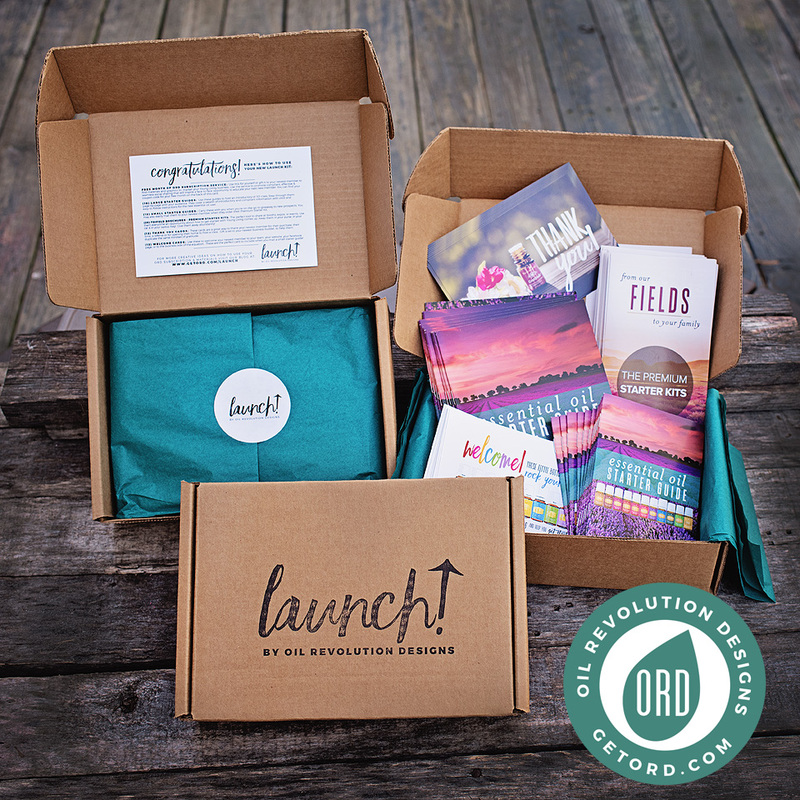 Launch is a business starter kit developed by ORD. It has all of the Marketing tools you need to get your business moving in the right direction! Whether you are new to Young Living or looking for ways to help grow your existing business, this kit is surely to have everything you need! Already have a large team established? The Launch Kit makes an excellent gift for the new business builder on your team or incentive prizes and giveaways. You can have them shipped directly to your member so you can get back to doing what you do best- LEADING! At an affordable price of $24.95 (a $47 value), this kit is great for those looking to hit-the-ground-running, without worrying about buying too much and needing to split them between your teammates! 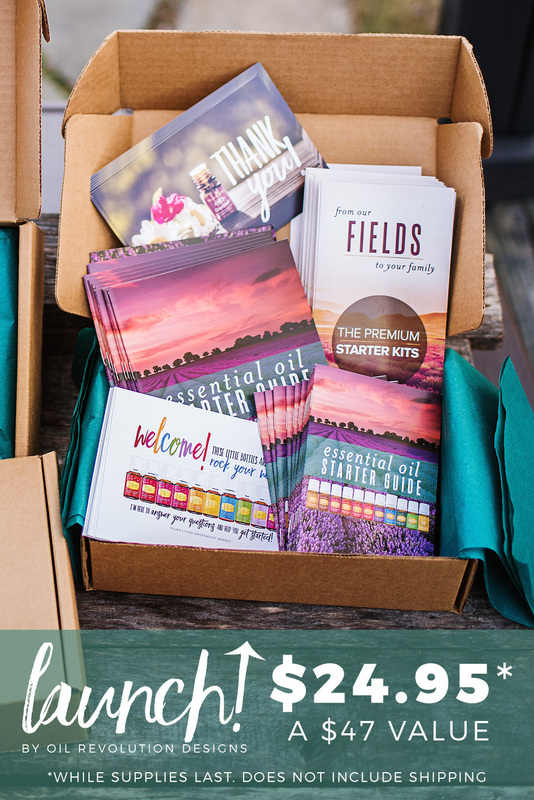 Free Month of ORD subscription service: Use this for yourself or gift it to your newest member to find materials and graphics to market your Young Living business. Use the service to promote compliant, effective & seamless social sharing that will inspire a face-to-face opportunity to educate your next new member. You will find the coupon code for the free month on the back of the included card. It requires no credit card or Paypal to activate and automatically expires after one month. (10) Large Starter Guides: Use these guides to host an introductory or 101 class. Step through them page-by-page with your audience. They cover a wealth of introductory and compliant information with vivid and easy-to-follow instructions for the new essential oil user. (12) Small Starter Guides: Carry these with you when you’re on-the-go to giveaway to new prospects. You may also easily mail them to your newest member when they order their Premium Starter Kit. (25) Trifold Brochures – Premium Starter Kits: The perfect tool to share at booths, expos, or events. Use them everytime an opportunity about how to get started with Young Living comes up. Keep them in your purse, in your car & in your laptop bag! Give them away abundantly! (12) Thank You Cards: These cards are a great way to thank your newest member for their purchase, their time, a referral or for opening their home to host a class. Gift a set to your newest business-builder, to help them duplicate the same mindset of gratitude. (12) Welcome Cards: Use these to welcome your newest member to your team, your website, your facebook page, or to the business side of the equation. These are the perfect card to include when you mail a small starter guide! We will have a limited number of these kits available on a first-come-first serve basis each month! AVAILABLE FOR SALE ON JANUARY 8TH – SHIPPING ON JANUARY 11TH, 2-3 Day Priority Mail – (check back here for the link on Friday! ).